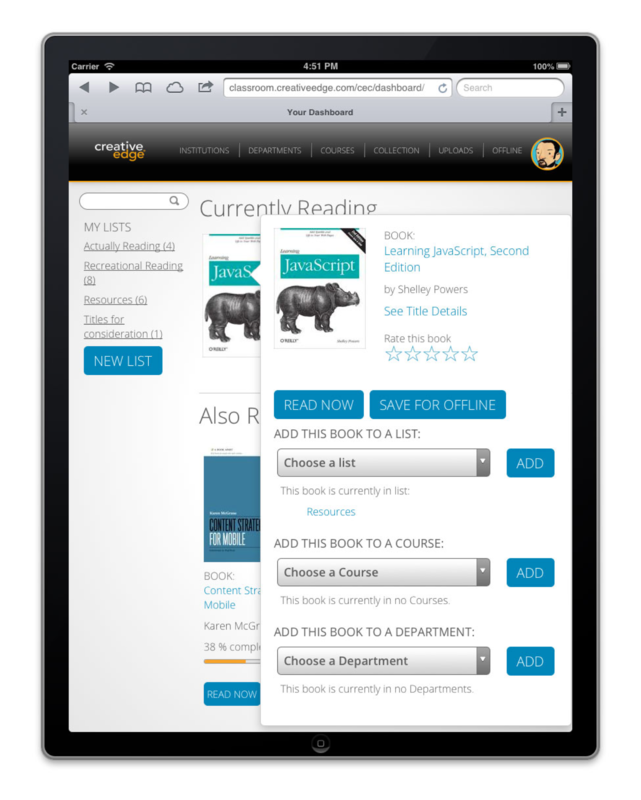 Creative Edge Classroom provided a way for school administrators to gather custom collections of books and video, organized by course. 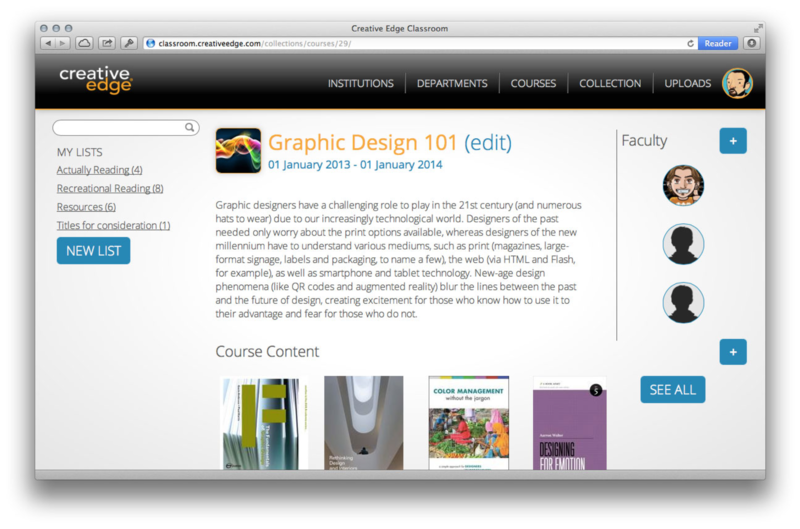 They would then allow students to access this content, within the context of their assigned courses. 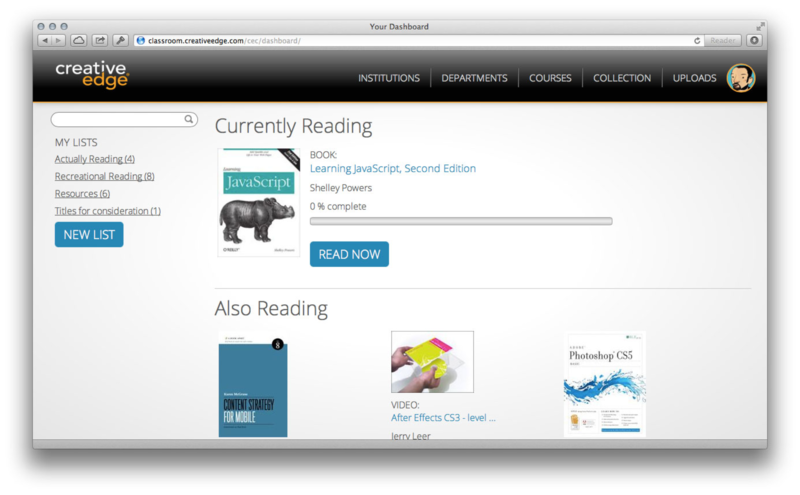 Creative Edge Classroom was a pioneer in native EPUB support and presented the user with a clean, uncluttered reading interface, as well as the ability to add notes and highlights to their books. 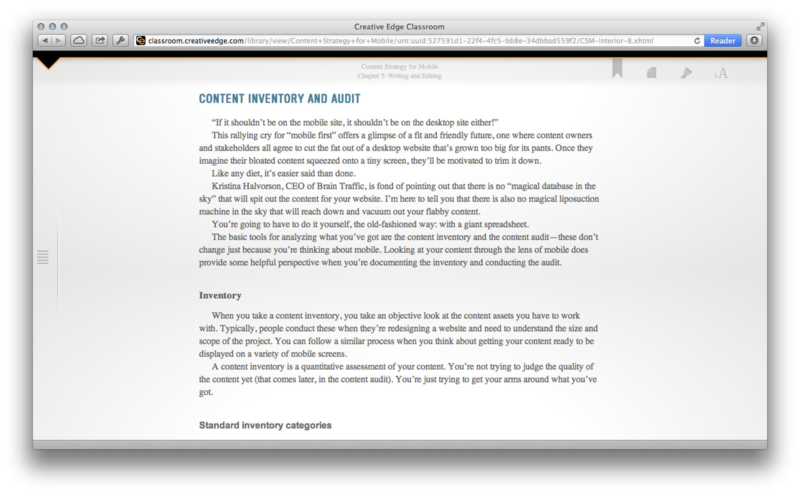 Users could read directly in the browser, even when offline. 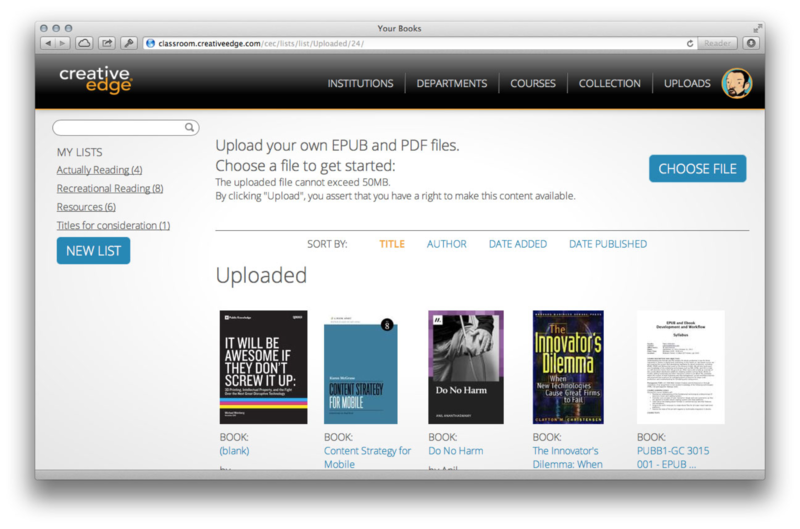 Users could also upload their own PDFs and EPUB files to supplement our content with their notes and syllabi.